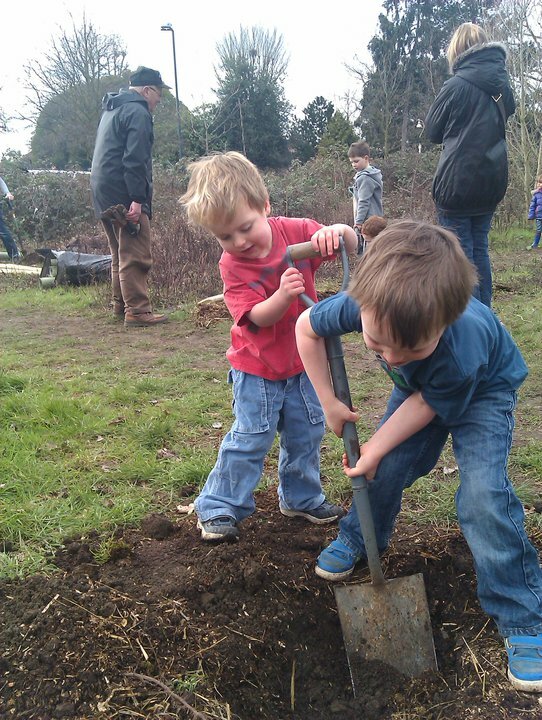 In February 2011 local children planted 21 fruit trees in the overgrown tennis courts in the Lammas Enclosure, between Lammas and Walpole Parks. The project was very kindly funded by Ealing & Brentford Consolidated Charities (now Pathways http://www.yourpathways.org.uk) and supported by Ealing Council Parks Department and Rangers. Ealing Transition volunteers have also taken on the management of the area, balancing the twin needs of keeping the brambles in check with preserving natural habitats. Late in 2017 the edible garden was upgraded with the kind support of the Postcode Lottery Trust. 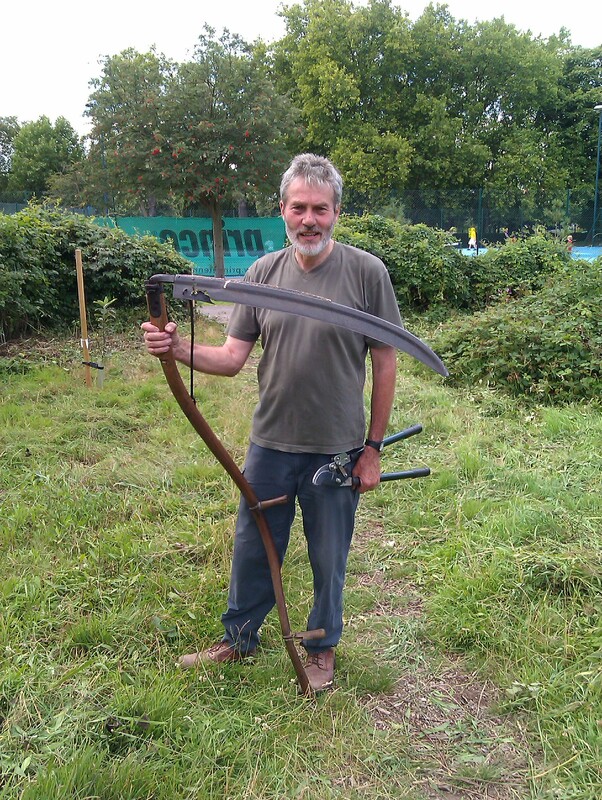 If you know of a site which might be suitable for an orchard and would like help in making it happen, contact us. 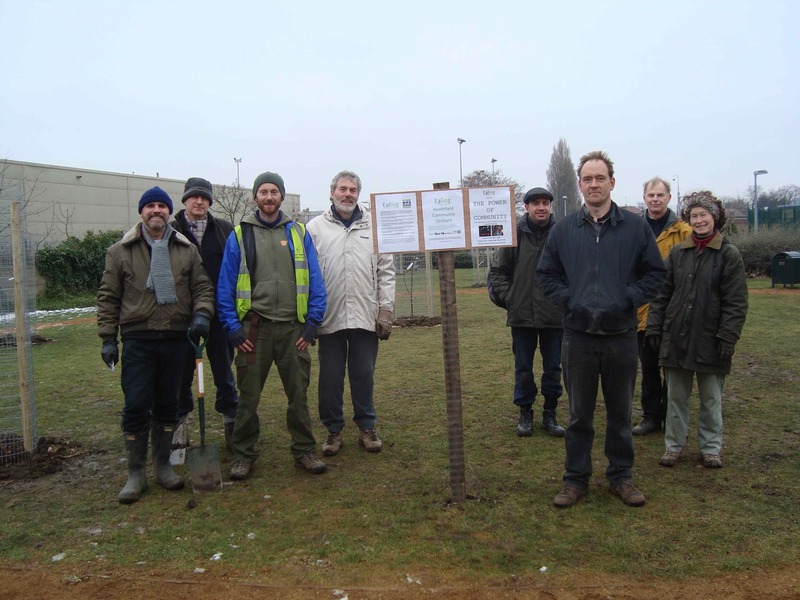 In February 2012 we worked with the London Orchard Project and the Mill Hill Park Residents association to plant another orchard in the Heathfield nature reserve, adjacent to Acton High School. On a very cold day members of West Ealing Neighbours Abundance and Ealing Council also gave their time. There is more information about the Orchard on the Mill Hill Park Residents’ Association website http://millhillparkacton.org. Please contact them direct if you would like to get involved in looking after the trees and future plantings.